Pink eye is common among cats. Cats can get pink eye. Pink eye can cause a cat's nictitating membrane, or third eyelid, to become inflamed. Conjunctivitis, or pink eye, is a condition that causes a noticeable inflammation to the outermost layer of the eye. Pink eye in cats is very common and in some cases can become a chronic condition. As with people, this condition can cause a reddening of the white part of the eye, as well as a dulling of the iris, discharge, and persistent rubbing or scratching. In some cases, pink eye may also be accompanied by an upper respiratory tract infection. Some of the signs of pink eye in cats are obvious, while others are not. For instance, the color of the affected eye can be slightly altered; the lining and white portion of the eye may become pink or red, the iris may appear dull or muddy, and the cornea may become cloudy due to erosion or an ulcer. Frequent squinting or a persistent pawing at the eyes may also help to indicate a problem. In many cases, the eye may also become encrusted with a watery discharge. Sometimes this discharge is clear, but it can also be yellow, gray, green, or a deep orange-red hue. 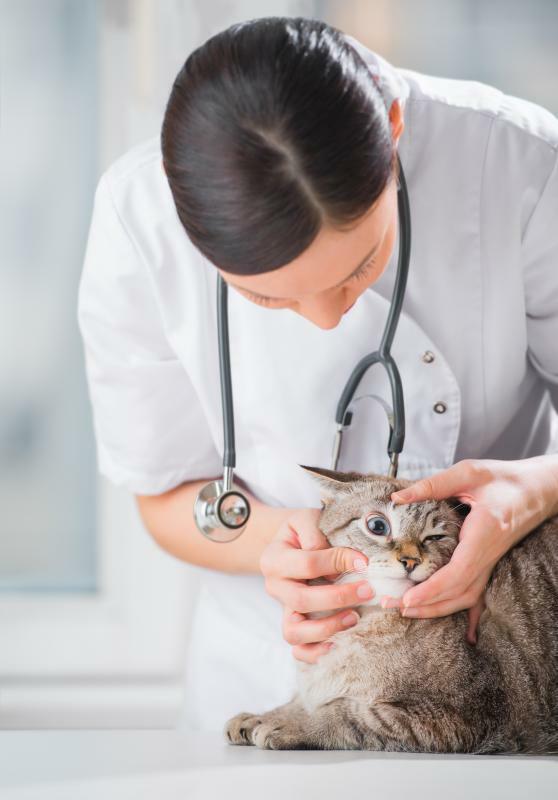 Some of the less obvious signs of pink eye in cats can include an inflammation of the nictitating membrane, or the third eyelid, and frequent sneezing. Although inflammation of the third eyelid may not be immediately noticeable, in some cases the eyelid can become so swollen that it begins to protrude and partially cover the eye. It may also begin to adhere to the conjunctiva, making it more visible. There are many reasons why a cat sneezes. Sneezing during a bout of pink eye may be the result of another underlying illness, such as an upper respiratory infection. Pink eye in cats is not usually life threatening, but if left untreated, it can cause blindness. After ruling out other possible illnesses, a veterinarian will typically do specific blood tests to see if the condition was brought about by a recent, unrelated infection, or take a swab of the conjunctiva to help identify a current infection. Once the cause has been identified, the veterinarian will choose a method of treatment. Treatments usually consist of either antibiotics or antivirals in the form of ointments, eye drops, or injections that are made under the conjunctiva. In some cases, treatments in pill or liquid form may also be required. What Are the Different Types of Cat Eye Drops? How do I Treat a Dog Eye Infection? 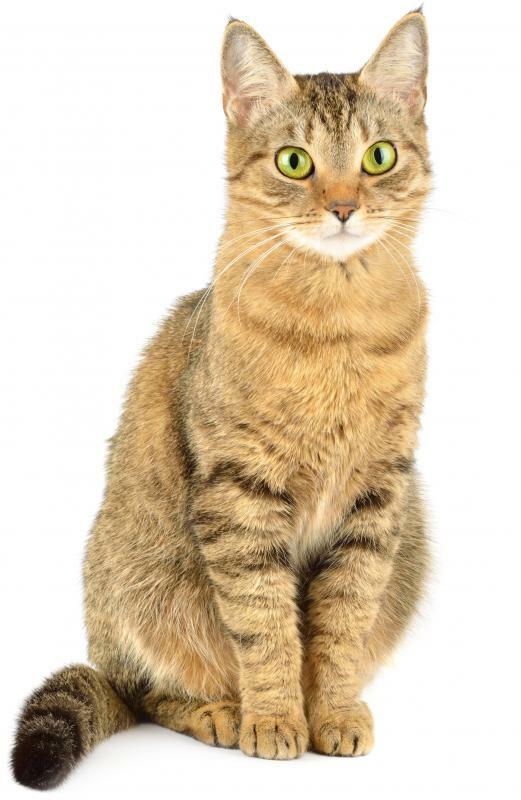 What are the Signs of Seizures in Cats? What Factors Affect the Pink Eye Incubation Period? @bluedolphin-- I agree with you. I did not realize that my cat had pink eye until his second set of eyelids started showing on a regular basis. I knew that the inner eyelids are not visible usually, so there was certainly something wrong. The vet diagnosed it as pink eye and gave antibiotic eye drops and also antibiotic tablets in case we couldn't administer the eye drops properly. He was all better after a week. @turquoise-- Are there other symptoms like swelling, redness and itching? Does your cat try to scratch his eye or does he squint or do anything different? 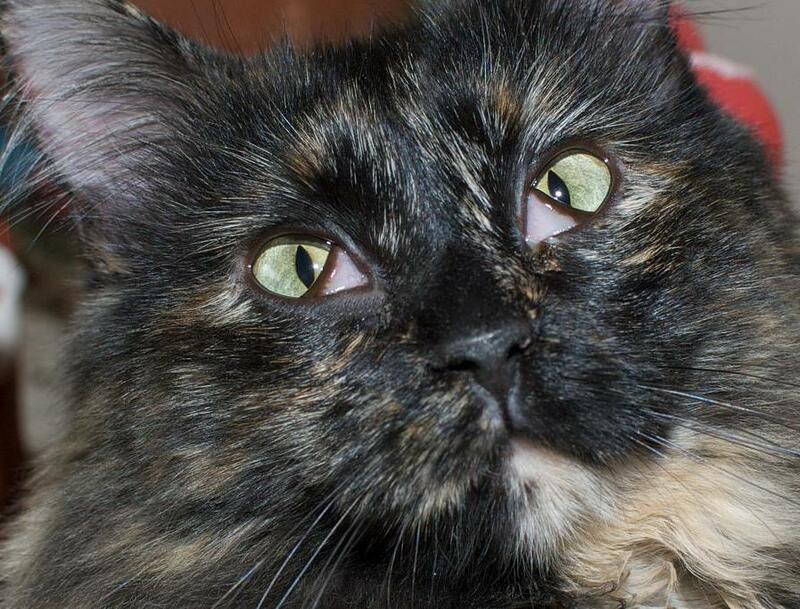 Eye discharge is very common in cats and the causes are numerous. If that's the only symptom and if the discharge is clear without color, it's probably not pink eye. Pink eye causes more symptoms than that. It can be difficult for pet owners to tell whether their cat has pink eye in mild cases though. So you should probably take him to the veterinarian and have his eye checked out just in case. My cat has eye discharge, only in his left eye. I wipe it away with cooled down boiled water, but it comes back later. Could this be pink eye?